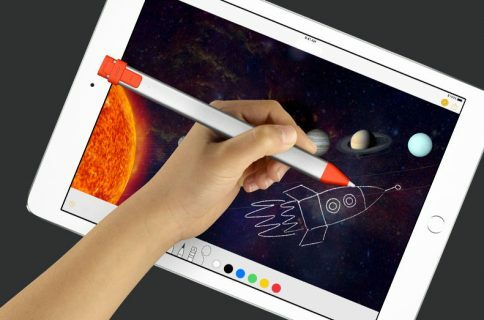 FiftyThree’s Pencil, a Bluetooth enabled stylus that pairs with the iPad and is activated by pressing on the Pencil icon in the Paper app, is now available at an Apple Store near you. The accessory ships in an all-new packaging created by their in-house designer Becky Brown. 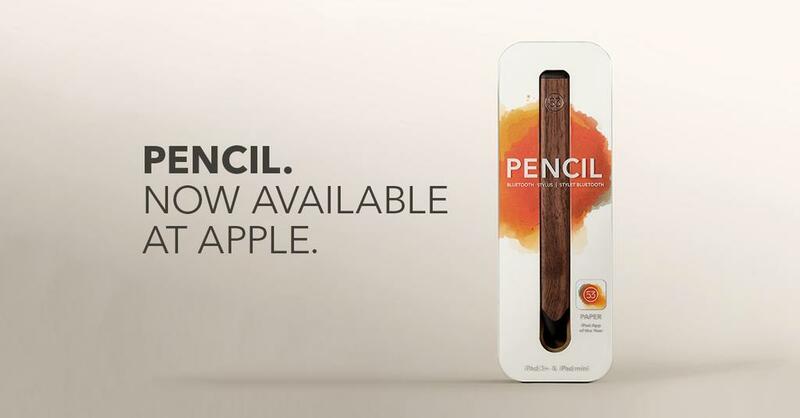 Available in the Walnut and Graphite versions, the Pencil supports popular apps for graphics designers like Adobe Line and Draw Illustrator, and has recently picked up support for Adobe’s Creative Cloud integration in its Paper app. 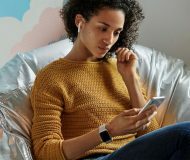 The accessory has a built-in battery offering up to a month’s worth of run time and features a rear nib which doubles as an eraser in the Paper app. 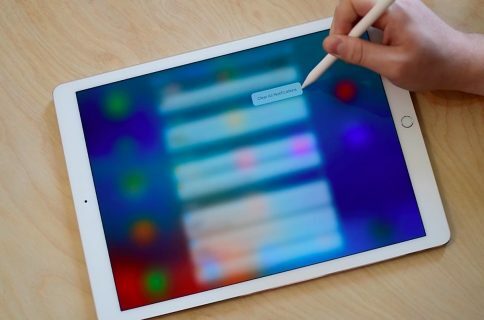 The Walnut edition has a magnetic strip letting you attach the device seamlessly to the iPad’s Smart Cover.